Here is a dolphin activity that includes scissor skills, sequencing, motor planning, visual motor skills and following directions! All on one piece of paper (translation: NO PREP activity). This dolphin activity is from the Cut, Sequence, Paste and Draw – Beach. 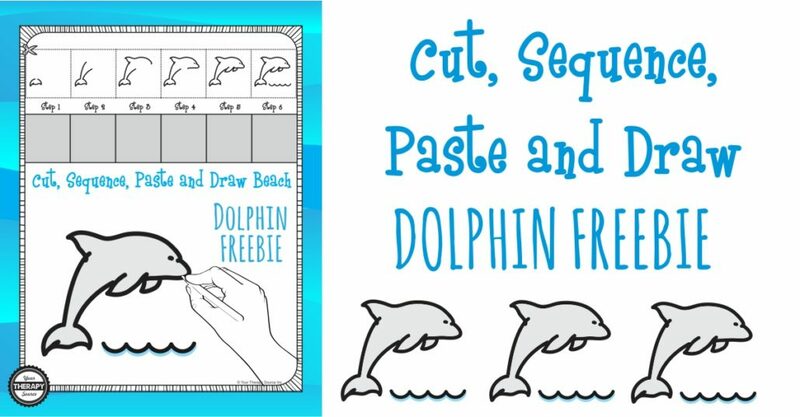 Print out this activity and the child can cut, sequence, paste and draw the dolphin using the step by step directions.